Join us Wednesday, November 28th, at 7 pm for a Free Lecture and Book Signing. 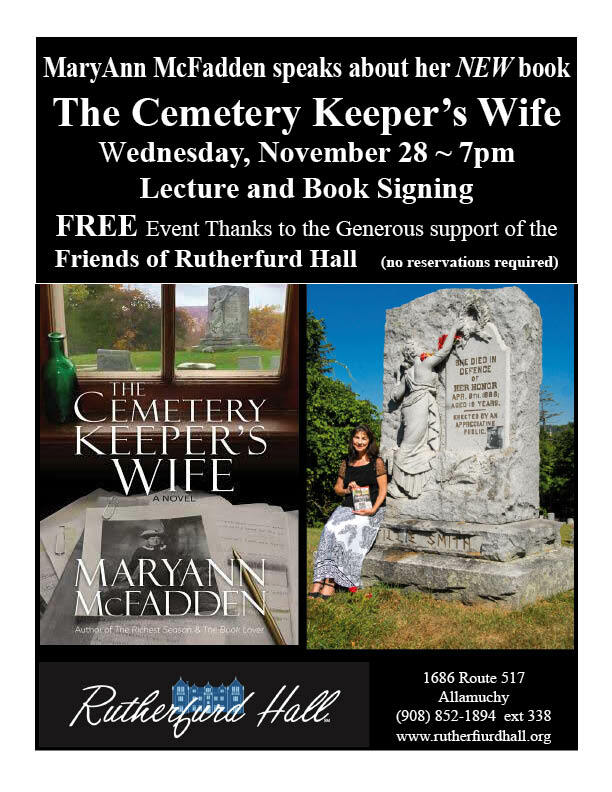 Local author Maryann McFadden will speak about her book, The Cemetery Keeper's Wife. Copies of her book will be available for purchase.